Taarifa has leant that a pool of businessmen and women has pledged to finance President Kagame’s upcoming election campaigns to a tune of almost Rwf3 billion. 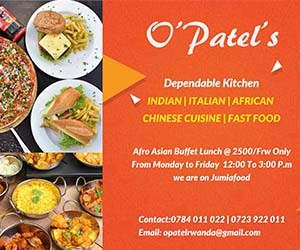 At a well-organised and colourful dinner gala at the Kigali Convention Center Friday evening, over 300 business cadres met and everyone made cash commitments adding up to over Rwf2.8 billion to support their party Chairman, the incumbent, President Kagame. RPF Secretary General, Francois Ngarambe and other senior cadres including Local Government Minister Francis Kaboneka, Minister Claver Gatete, who made a presentation on the current state of the economy, also attended the dinner. President Kagame did not attend. The event ended shortly before midnight after agreeing that the funds will be available within a period of less than 30 days. But there was also consensus was that should even be ready before the end of this May. Meanwhile, the figure is more or less of what the government intends to spend on elections. In March, Minister Kaboneka announced that the government will not spend more than Rwf3 billions on elections. The funds are meant to cover training costs for polling clerk, sensitisation and purchasing electoral materials. 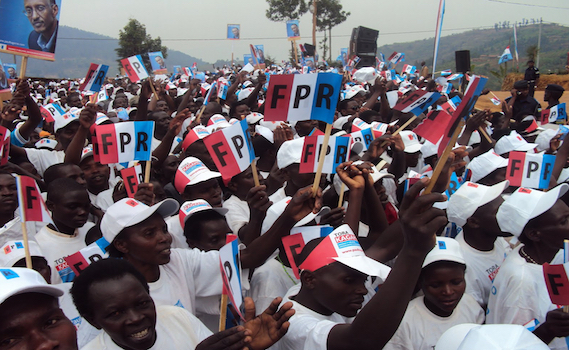 The upcoming Presidential election is the third ever since RPF stopped the Genocide against the Tutsi. The first was held in 2003 and the second in 2010. The 2010 election cost government Rwf7 billions. This year’s campaigns will begin in July and run for roughly four weeks. This is not the first time RPF business carders mobilise a huge sums of money to support a big course. In 2015, they raised Rwf822 million toward Gen. Karenzi Karake’s bail fees. Gen. Karenzi Karake, who was then head of Rwanda’s national intelligence and security services, had been illegally held by UK security agencies and a London courted demanded for a £1 million (about Rwf1.2 billion) bond for him to be released. Meanwhile the Secretary General thanked the cadres and empahised how deeply pleased and proud he is that party members can mobilise resources to support their party without waiting for help from foreigners. He said the activity is a reflection of the party’s philosophy of building a self-sustaining nation.